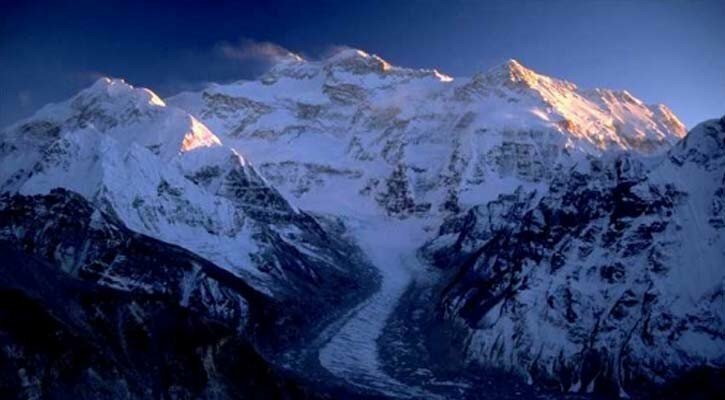 Kanchanjanga is world’s third highest mountain and lies in the north-eastern corner of Nepal. 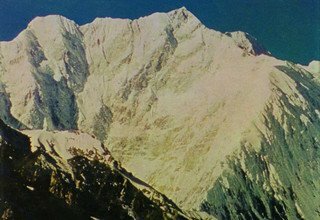 This trek is one of the most popular trekking destinations in eastern Nepal and it is opened for the trekkers in 1988 and made it possible to visit wonderful and relatively unexplored tracts of foothill and alpine country in eastern Nepal. 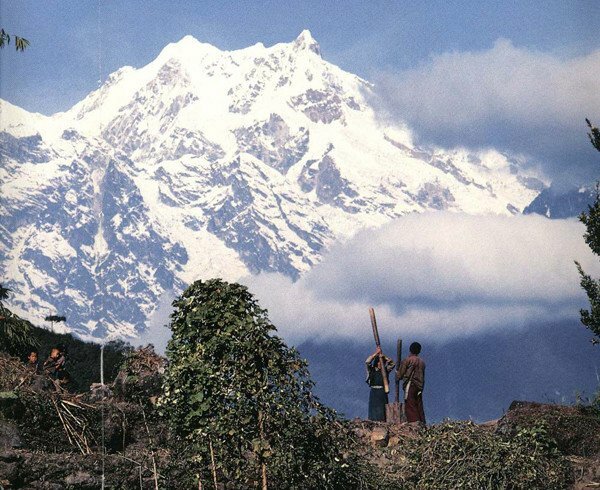 This area trek offers the culture diversity of Rai, Limbu, Chhetri and Brahmin villagers, with the higher region inhabited by a people of Tibeto-Mongoloid Ancestry. 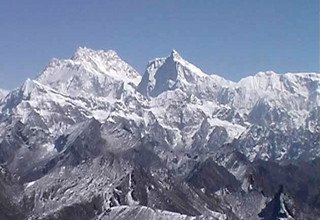 This trek also provides exploration of extreme eastern part of Nepal and has great for those explorers having natural history interest, with ecological zones from the subtropics to glacial wilderness. 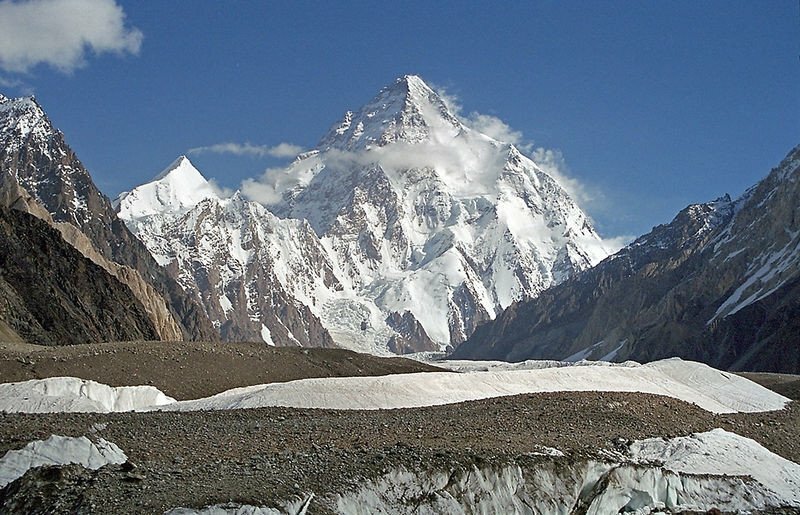 It features an incredible range of landscapes-mountain and glacial terrain. 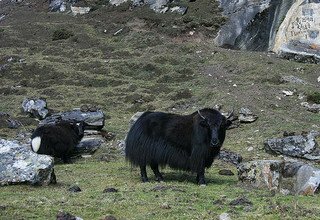 The trek follows the sparkling, mica-flecked Tamur River for the first trekking days along the villages as well as increasingly barren hillsides dotted with yak and slue sheep. 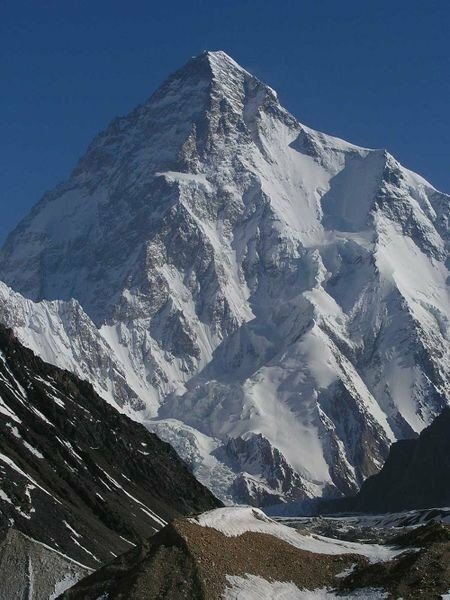 Finally the spectacular peak of Kanchanjanga itself becomes visible and so close. 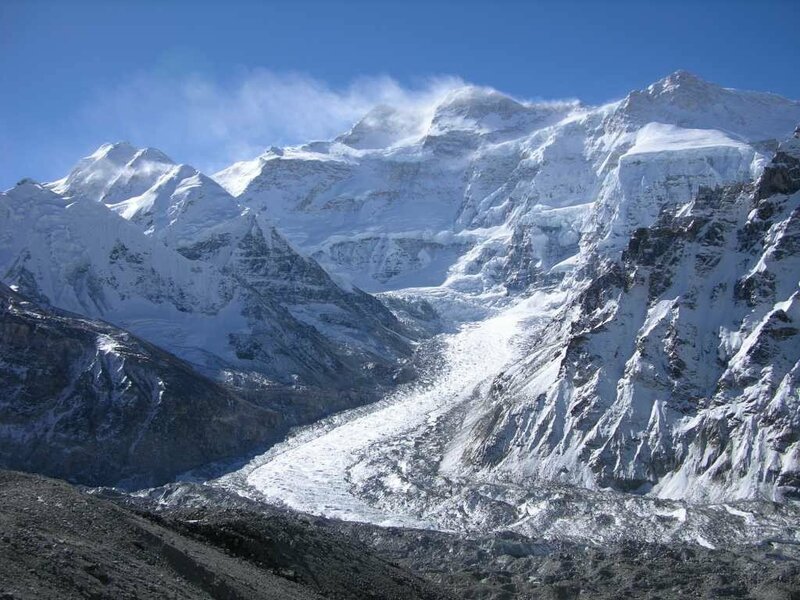 You have a Lapsang-La pass and can explore Yalung Glacier. 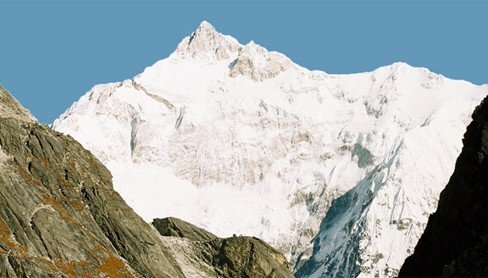 The trekking in this area is relatively very strenuous since the region is regarded as the most remote place of Nepal. 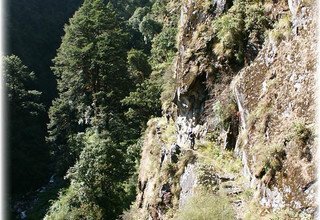 However the presence of numerous wild animals, birds and flora in abundance make the trekking in this region very interesting and pleasant. Unused to foreign visitors, much of the area still lies shrouded in mystery. 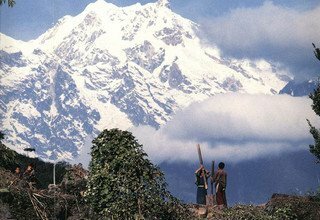 You will pass through picturesque villages as you climb towards the enormous Kanchenjunga massif. 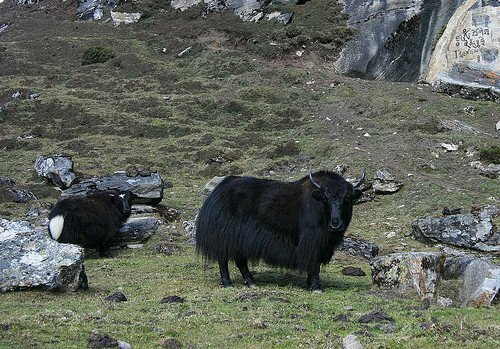 Abundant wildlife can be seen along on the trail including musk deer, blue sheep and, for the believer, the Yeti! 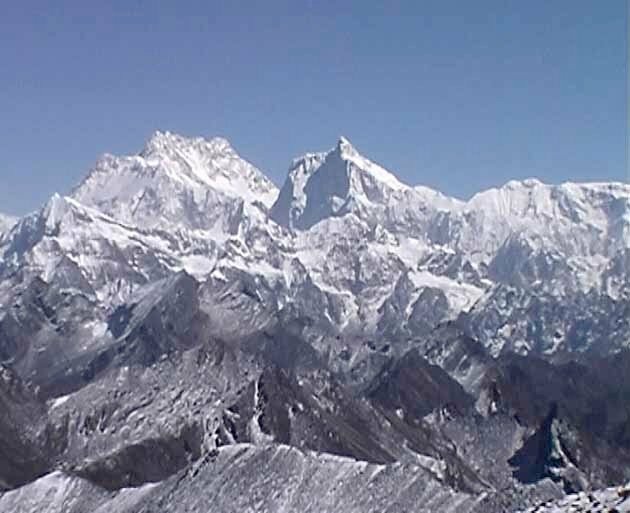 Magnificent views of Everest, Makalu and the Kanchenjunga massif will make the trip memorable. 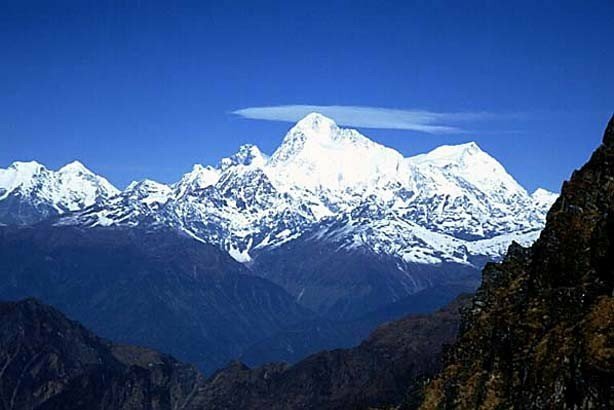 Day 3: Fly from Kathmandu to Taplejung/Suketar 2420m and trek to Deurali 2602m/3 hours, stay overnight at tented camp. Day 4: Trek from Deuralu to Khesewa 2125m/4 hours, stay overnight at tented camp. Day 5: Trek from Khesewa to Mamangkhe 1785m/4 hours, stay overnight at tented camp. Day 6: Trek from Mamangkhe to Chitre 2925m/5 hours, stay overnight at tented camp. Day 7: Trek from Chitre to Tseram 3868m/6 hours, stay overnight at tented camp. Day 8: Rest Day for acclimatizing, stay overnight at tented camp. Day 9: Trek from Tseram to Ramchaur 4610m/7 hours, stay overnight at tented camp. Day 10: Trek from Ramchaur to Oktang 4740m/6 hours, stay overnight at tented camp. 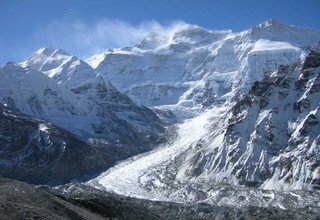 Day 11: Acclimatization Day and exploring Yalung Base Camp, stay overnight at tented camp. Day 12: Trek from Oktang to Lapsang Phedi 4433m/7 hours, stay overnight at tented camp. 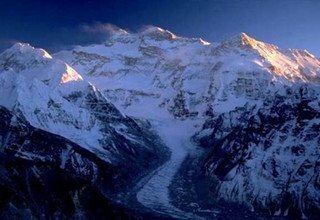 Day 13: Trek from Lapsang Phedi to Ghunsa 3415m/8 hours via Lapsang Bhanjyang 5161m, stay overnight at tented camp. Day 14: Trek from Ghunsa to Khambachen 4145m/7 hours, stay overnight at tented camp. Day 15: Trek from Khambachen to Lhonak 4792m/5 hours, stay overnight at tented camp. Day 16: Trek from Lhonak to Pang Pema (Kanchenjunga B. C.) 5140m/4 hours, stay overnight at tented camp. Day 17: Trek from Pang Pema to Khambachen 4145m/7 hours, stay overnight at tented camp. Day 18: Trek from Khambachen to Ghunsa 3415m/6 hours, stay overnight at tented camp. 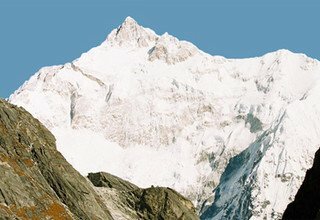 Day 19: Trek from Ghunsa to Tin Pokhari/Nango-La Phedi 4500/7 hours, stay overnight at tented camp. Day 20: Trek from Tin Pokhari to Yak Kharka 4200m/8 hours via Nango-La Pass 4795m, stay overnight at tented camp. 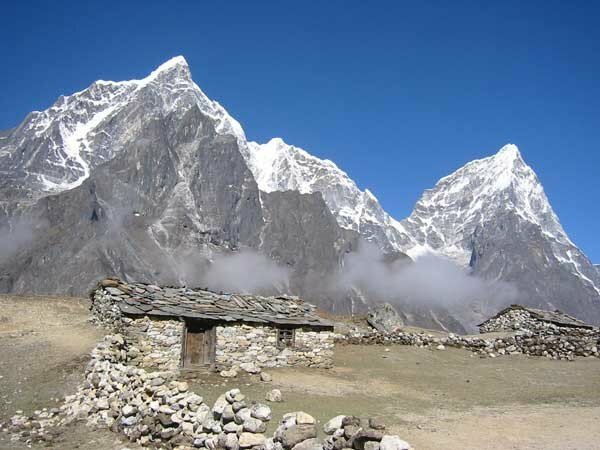 Day 21: Trek from Yak Kharka to Olangchunggola 3500m/6 hours, stay overnight at tented camp. 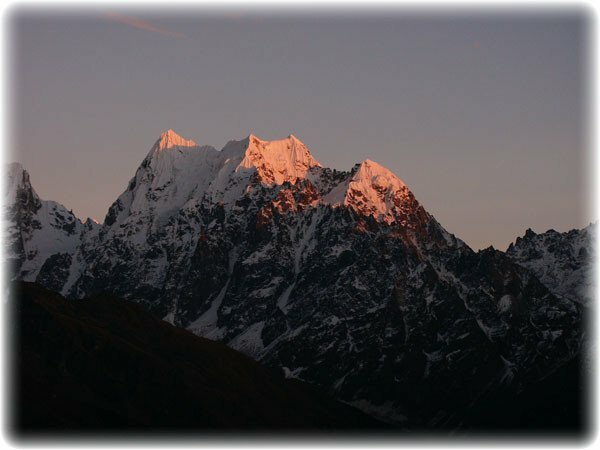 Day 22: Trek from Olangchunggola to Sekathum 1650m/9 hours, stay overnight at tented camp. Day 23: Trek from Sekathum to Chirwa 1185m/7 hours, stay overnight at tented camp. Day 24: Trek from Chirwa to Papung 2100m/9 hours, stay overnight at tented camp. Day 25: Trek from Papung to Topkegola 3720m/9 hours, stay overnight at tented camp. Day 26: Trek from Topkegola to Thudam 3550m/9 hours via Thangla Bhnjyang 5100m, stay overnight at tented camp. Day 27: Trek from Thudam to Guthugumba 2480m/7 hours, stay overnight at tented camp. 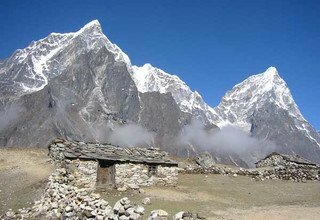 Day 28: Trek from Guthigumba to Hatiya 1560m/6 hours, stay overnight at tented camp. Day 29: Trek from Hatiya to Gola 1100m/6 hours, stay overnight at tented camp. 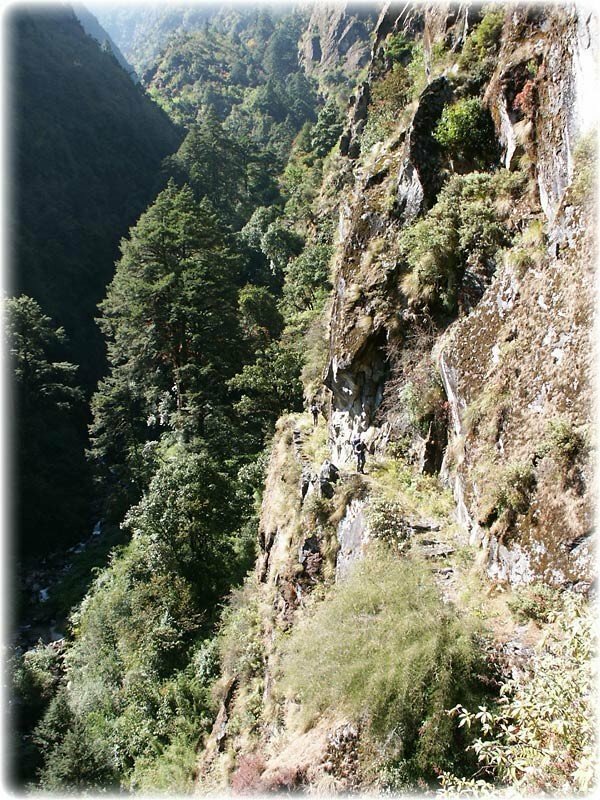 Day 30: Trek from Gola to Gadhidanda 1120m/6 hours, stay overnight at tented camp. Day 31: Trek from Gadhidanda to Chichila 1850m/7 hours, stay overnight at tented camp. Day 32: Trek from Chichila to Khandbari 1040m/6 hours, stay overnight at tented camp. 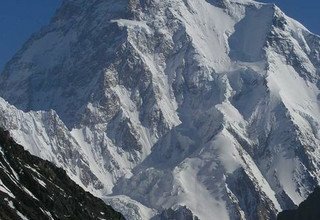 Day 33: Trek from Khandbari to Tumlingtar 860m/5 hours, stay overnight at tented camp. Day 34: Fly from Tumlingtar to Kathmandu and pick up at airport and transfer to Hotel. Day 35: Full day Sightseeing in Bhaktapur Durbar Square and Patan Durbar Square with our Tour Guide by private car, overnight in Hotel. Day 36: Final Departure to Kathmandu International Airport. * Domestic flight ticket from KTM/Taplejung and Tumlingtar/KTM and domestic Airport tax. 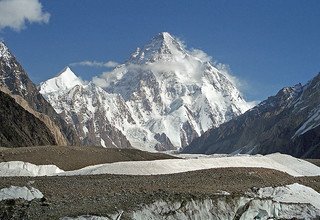 * All trekking equipment (Dinning Tent, Kitchen Tent, Toilet Tent, Guest Tent Mattresses and Kitchen Utensils). 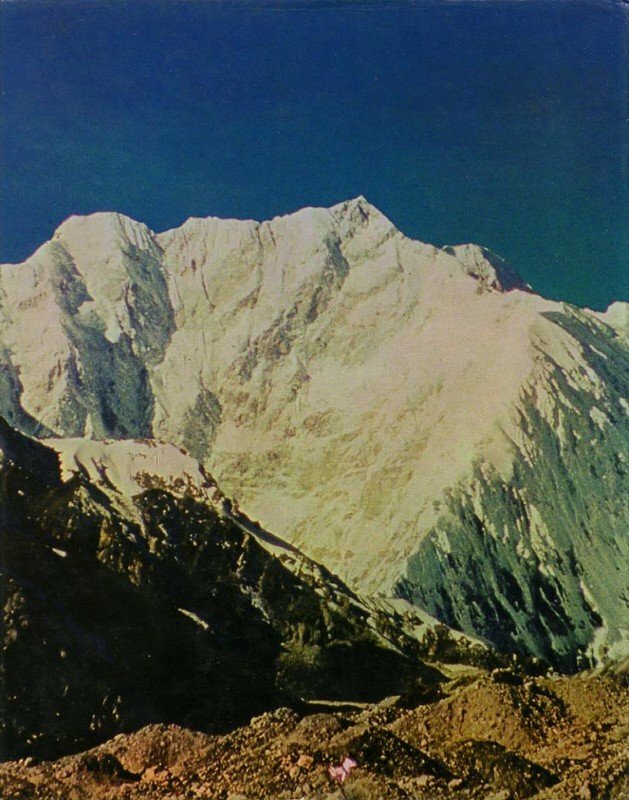 * Kanchenjunga Conservation Permit, and all necessary permits.